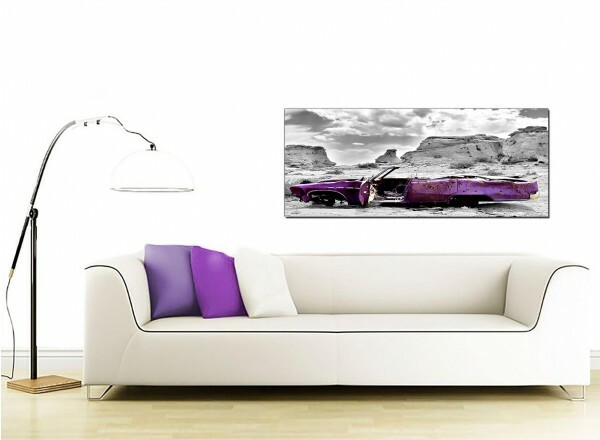 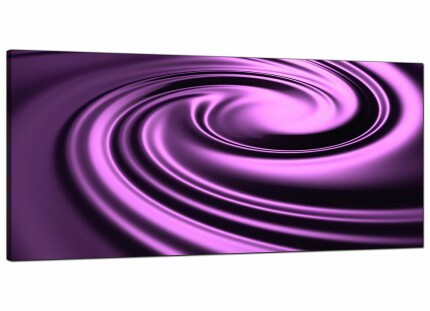 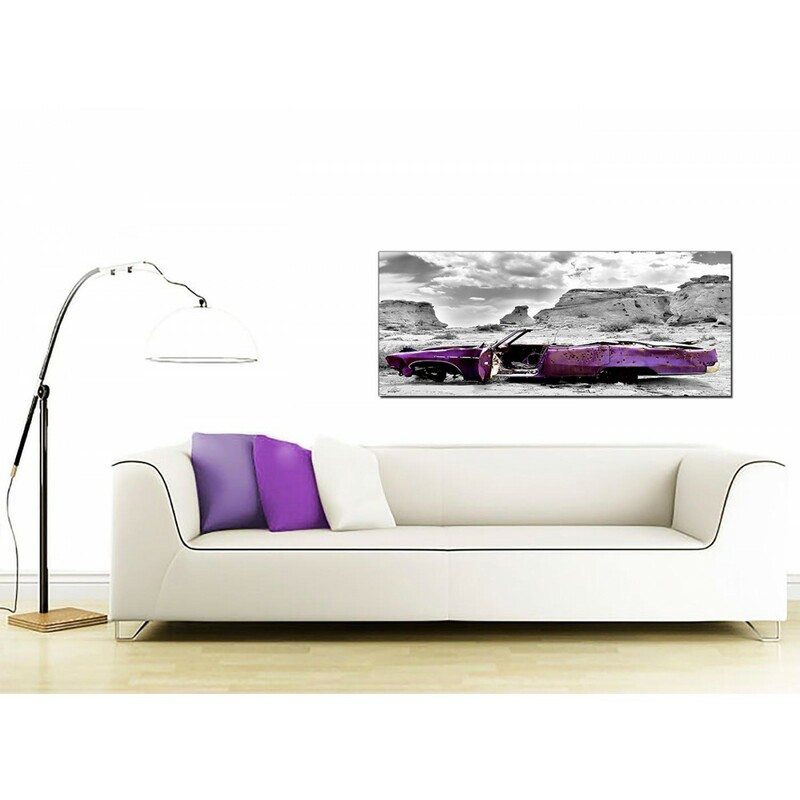 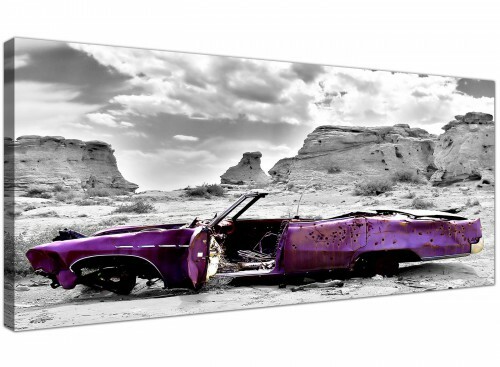 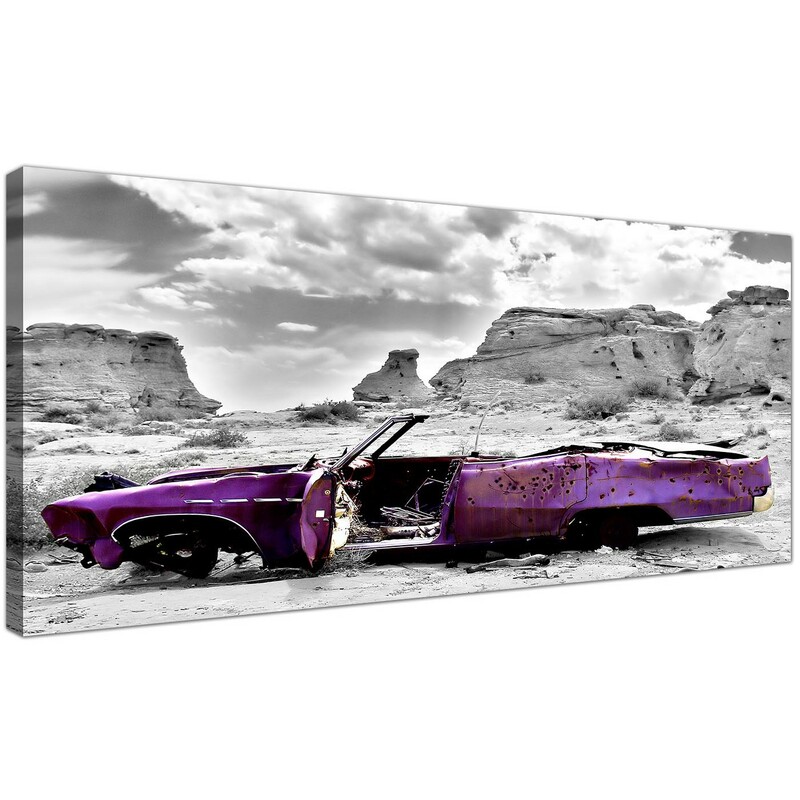 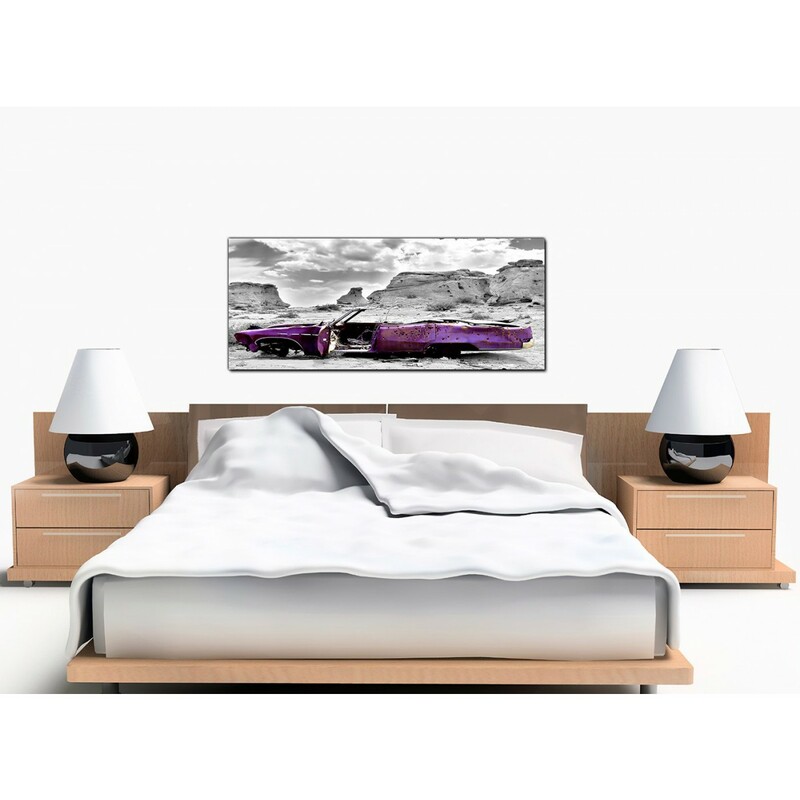 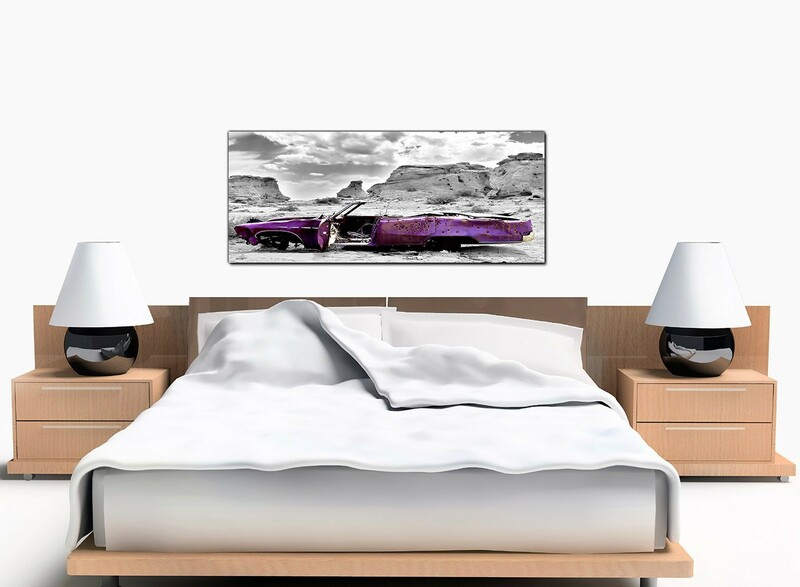 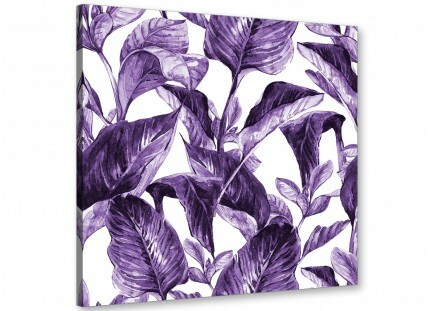 Very large canvas wall art of a vibrant violet car in a monochrome desert. 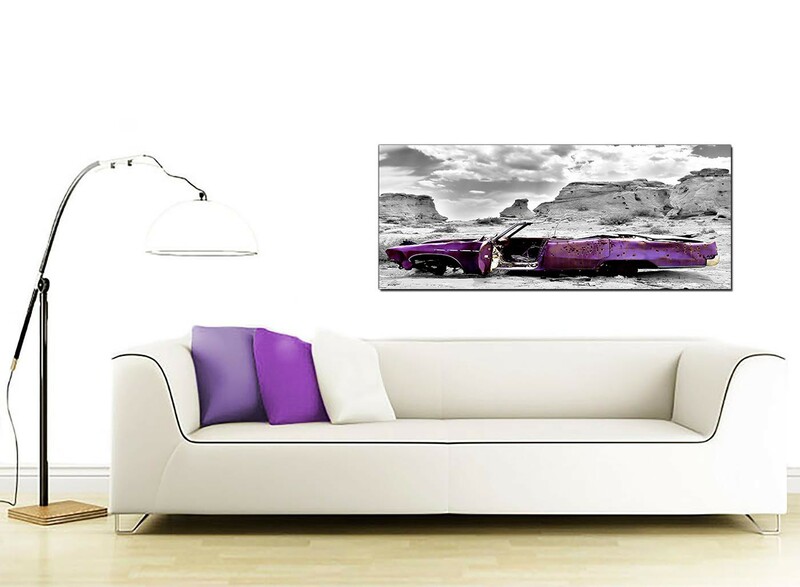 A huge black & white beautiful panoramic canvas wall art. 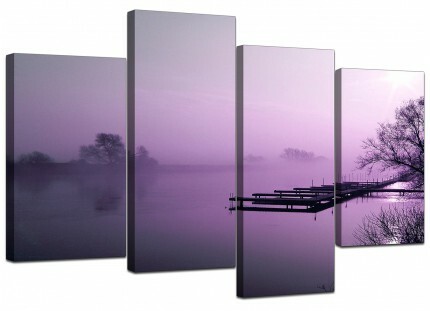 Britain's best loved canvas framing company. 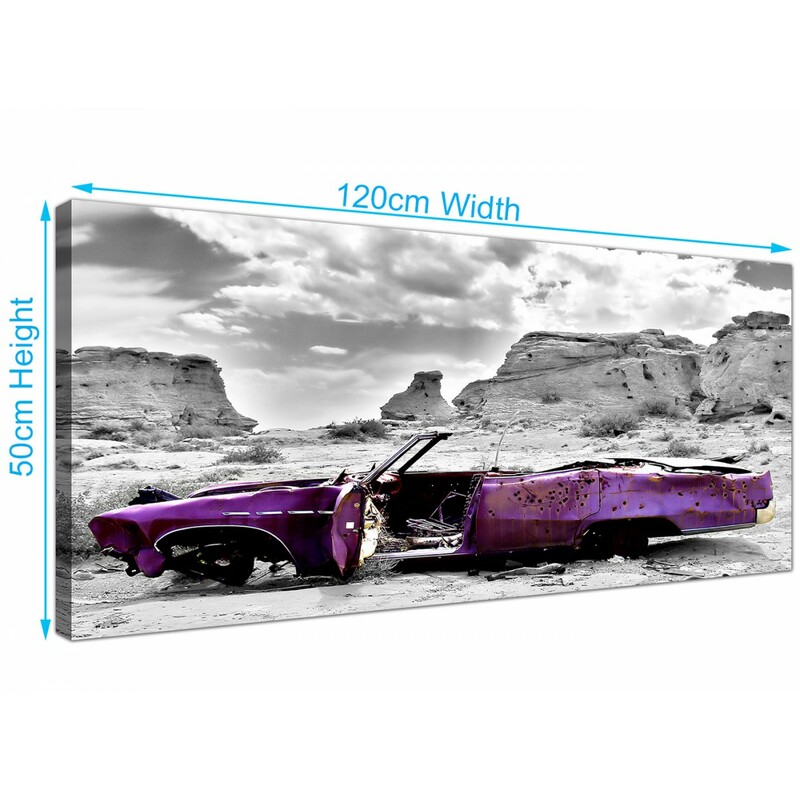 Our images are manufactured to the highest standards with long lasting inks. 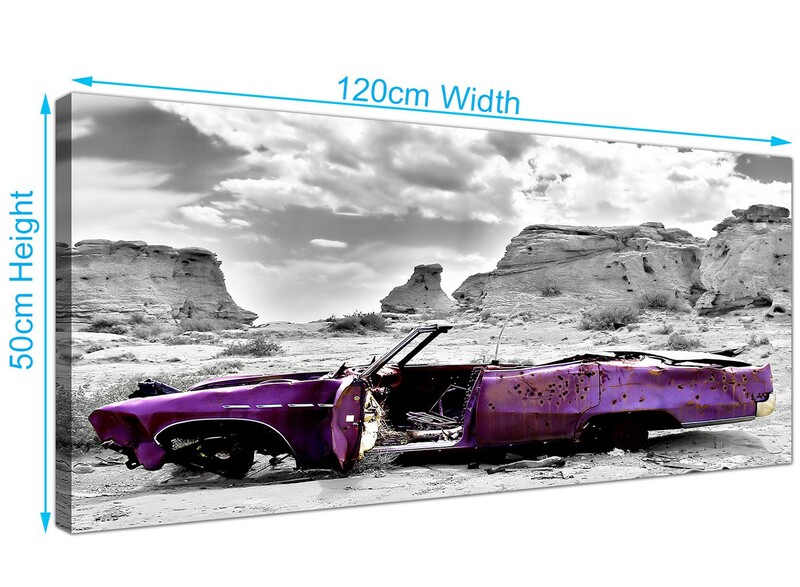 Ideal width for over your sofa. 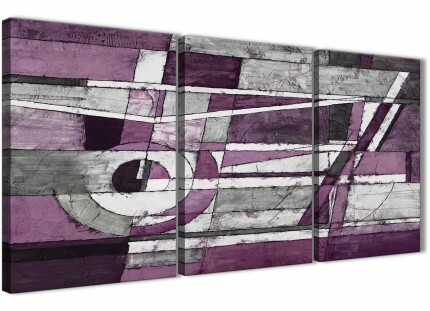 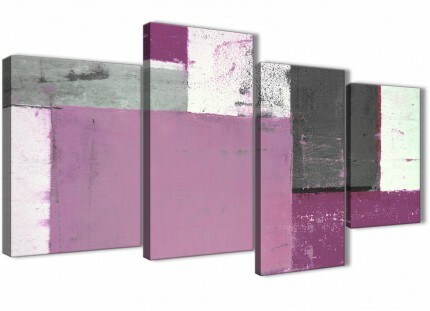 Dimensions: 120cm x 50cm (47.2 inch x 19.7 inch).